There is no denying that photography can be an expensive hobby. Costs can be reduced, however, without sacrificing quality, reliability and durability, so you can maximize your budget and buy more of the gear you'd love to have. Here are three methods that will allow you to stretch your dollars when buying new photography equipment. If you are a hobbyist or enthusiast DSLR photographer (as most are), then you don't need to spend the budget-busting prices of your camera's brand lenses to produce professional quality images. When it comes to buying additional lenses, you may want to consider the option of a company that specializes in designing and manufacturing high-performance lenses – and at a value price. That company is Rokinon. You benefit in three ways when you choose the Rokinon option. 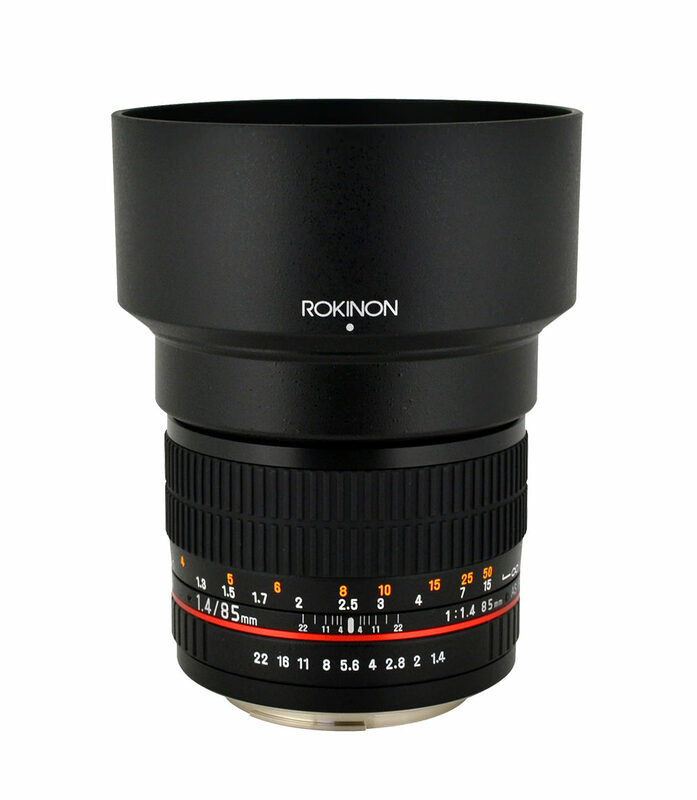 There is a large selection of Rokinon lenses with mounts that are compatible with all major camera manufacturers' models: Canon EF/EF-S, Nikon F, Sony A, Sony E and Olympus/Panasonic micro 4/3 as well as Pentax K, Olympus 4/3, Samsung NX, Fujifilm X, Nikon 1 and Canon M.
Rokinon lenses are known for their quality construction and performance parameters that are essentially equal to and sometimes even surpass Canon, Nikon, Sony and other manufacturers' lenses. 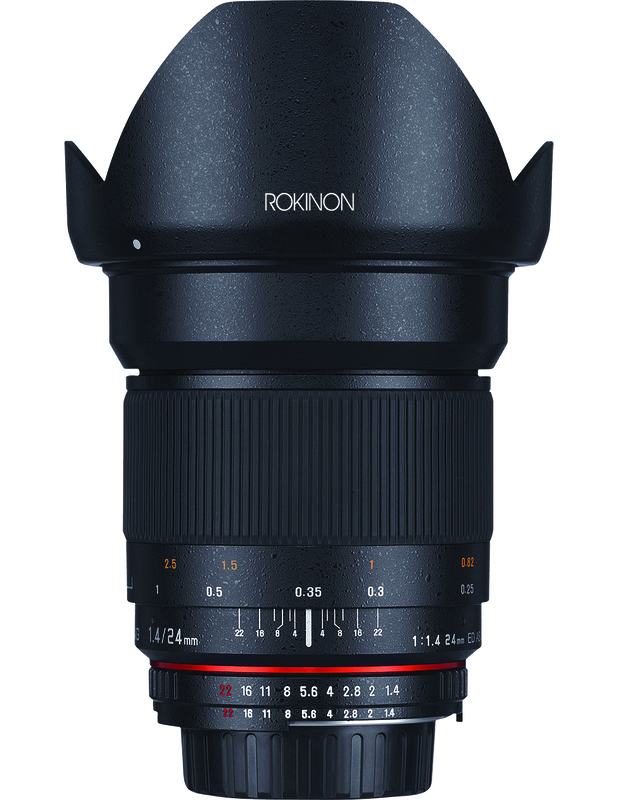 Rokinon lenses costs half or less of their Canon, Nikon, Sony, Olympus and other OEM counterparts and all include a removable (reversible for storage) or built-in lens hood, lens pouch and certificate of performance. An additional benefit is that all Rokinon lenses give you complete control and the precision feel of manual focus and aperture directly on the lens. 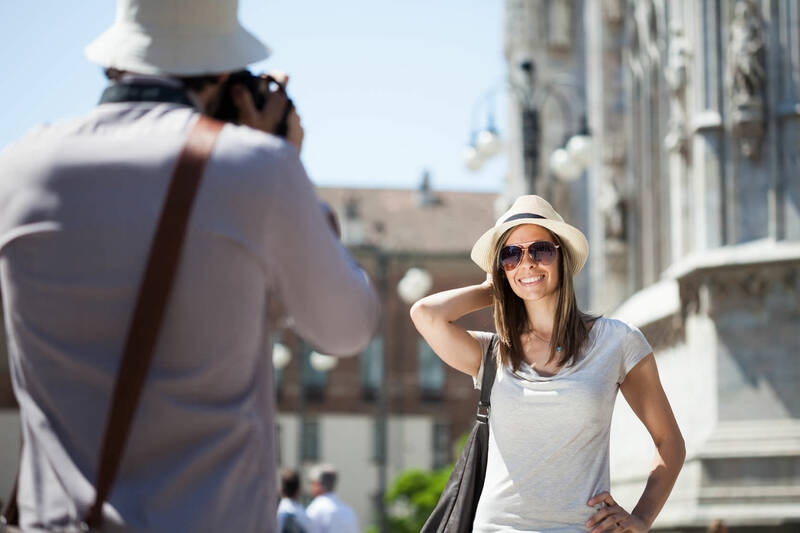 You'll have the opportunity to develop your photographer's eye and improve your camera skills without relying on your camera's auto-focus, which does not always focus on the most important part of the subject, according to your vision of the shot. This Rokinon lens is available in Canon EF/EF-S, Nikon, Sony A, Sony E, Pentax K, Olympus/Panasonic Micro 4/3 and Olympus 4/3 mounts. This is the focal length that professionals love – for group shots, landscapes, low-light, hand-held shooting and a multitude of other shooting situations. 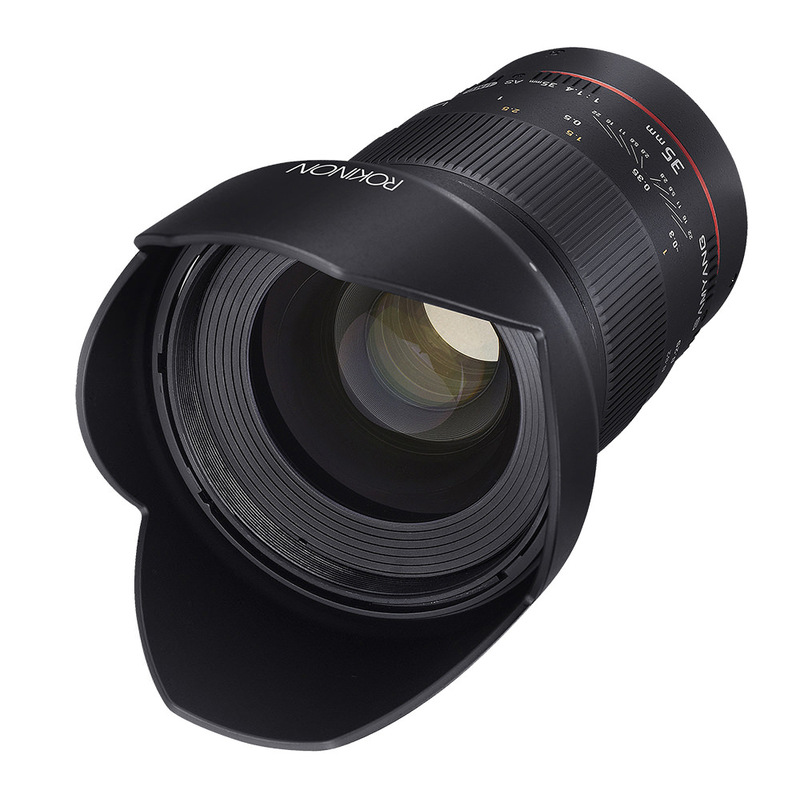 Not only is this a great lens for still photography, but also produces sharp, stunning video. Its 12 Ultra Multi-Coated precision glass elements in 10 groups, including 1 aspherical element, have been carefully designed and manufactured for optimum sharpness and clarity. You'll also like the easy-to-read focusing scale – and it costs much less of all equivalent lenses. The best used-equipment companies thoroughly inspect and recondition each piece according to manufacturers' specifications and then provide as much as a 6-month warranty. Used equipment companies can have a wider selection of products, including those that were recently discontinued. Because used equipment is more affordable, you may be able to accelerate your photography education and experience, which may otherwise stall as you wait to save the money for new equipment. 3.Buy with a Photo Buddy. 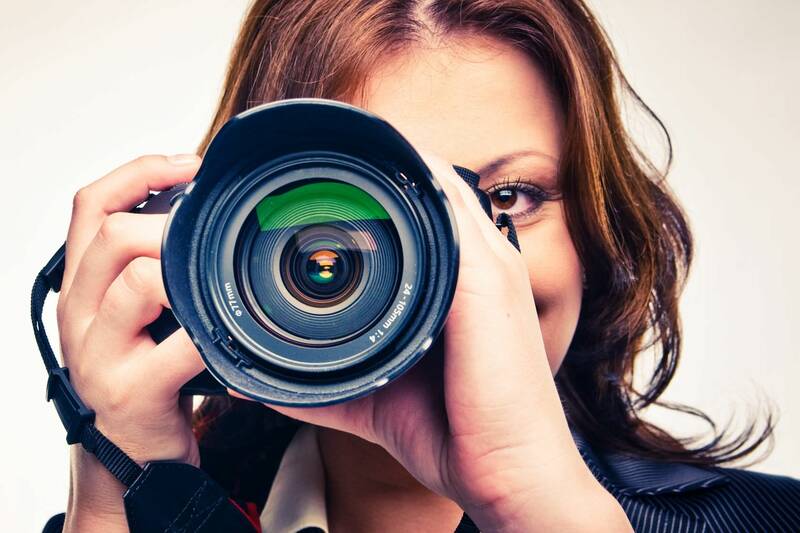 Many photography instructors and professionals encourage new and hobbyist photographers to learn and shoot with a photo buddy. You may be able to connect with a photographer at the same skill and enthusiasm level through PhotographyTalk.com's forum or by becoming a member of your local photography club. You and your buddy could share in the cost of lenses and other equipment to use when shooting together or individually. 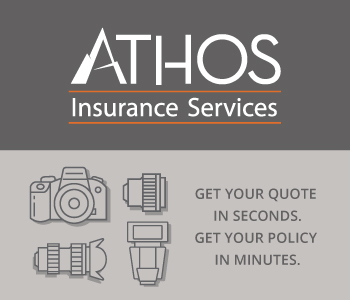 Another option is for you to buy a piece of equipment and your buddy to buy a different lens or accessory at a similar price, thus establishing ownership, but making the equipment available to both of you. Your feedback is important to thousands of PhotographyTalk.com fans and us. If this article is helpful, then please click the Like and Retweet buttons at the top left of this article.